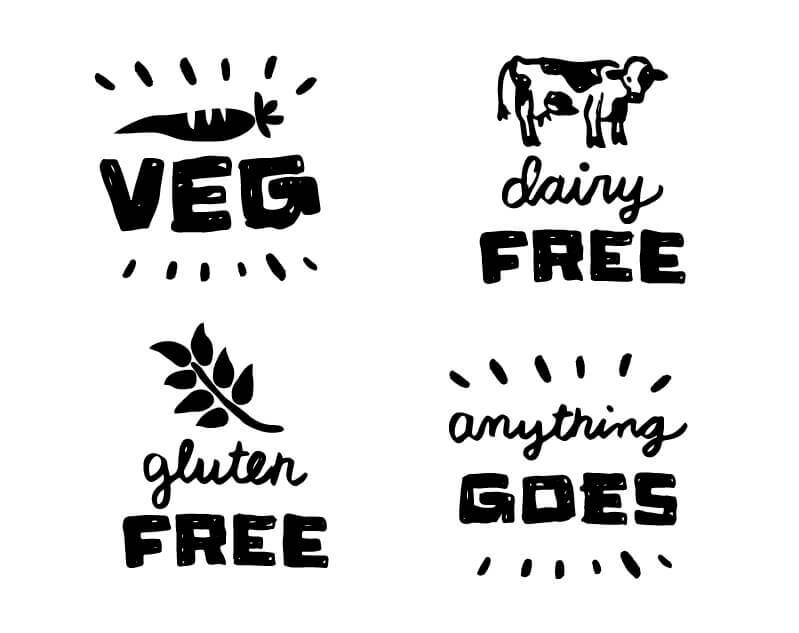 Custom icons as part of a branding package for Plant Strong Vegan. Spot illustrations & lettering for Chickpea Magazine's summer 2016 for "Making the most of Your Farmers Market" Guide. Illustrations for Fresh Bucks, used in posters and brochures (full designs available upon request). Custom illustrations as part of a branding package for Fork & Beans.